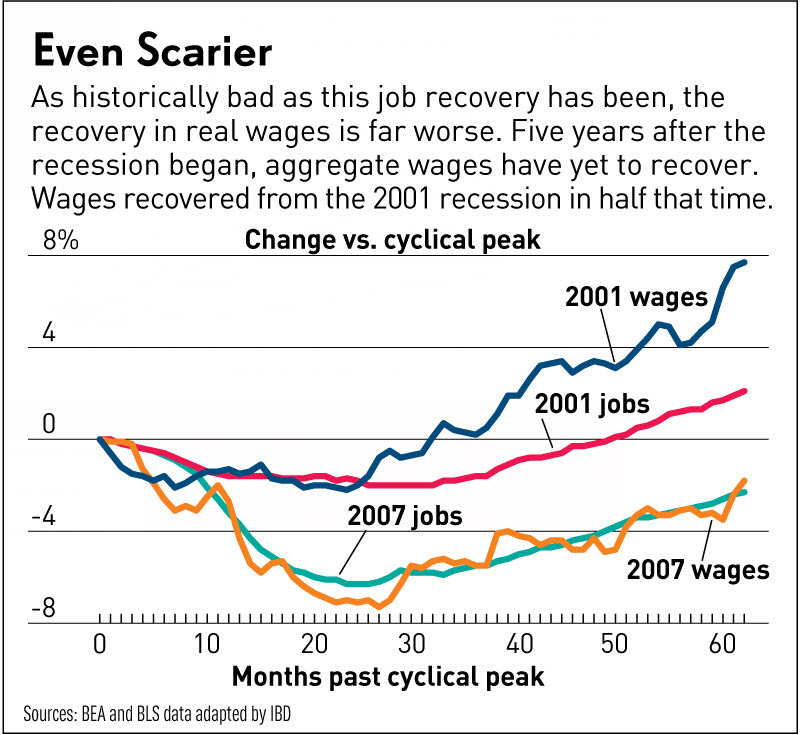 Jed Graham at Investor’s Business Daily has an interesting chart showing Wage Recession Hits 5 Years; Worse Than Jobs Drought. I can show it’s even worse, but first let’s consider a chart and commentary by Graham. As bad as the current job recovery has been — and it’s by far the weakest since World War II — the recovery in wages has been far worse. Instead of looking at wages, let’s consider real disposable income as a measure of the “wage recession”. 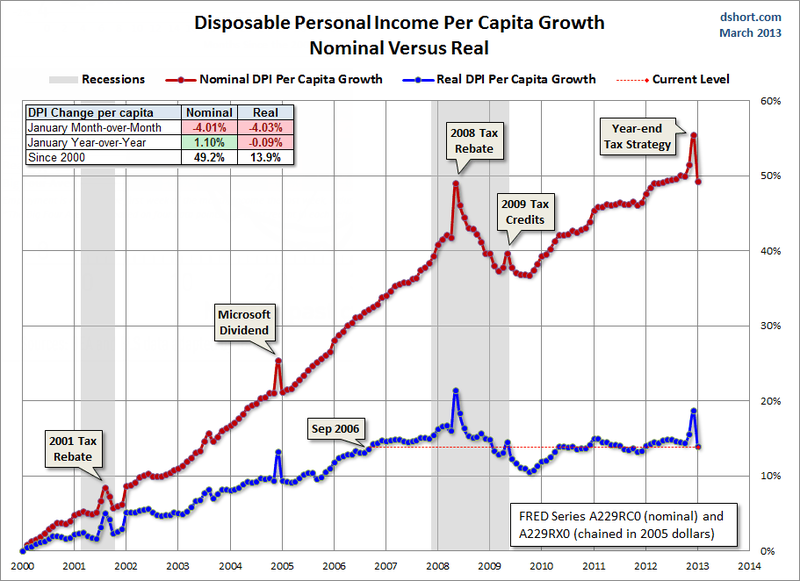 Here is a chart from Doug Short at Advisor Perspectives on Nominal vs. Real Income. That chart shows an income recession for six years. 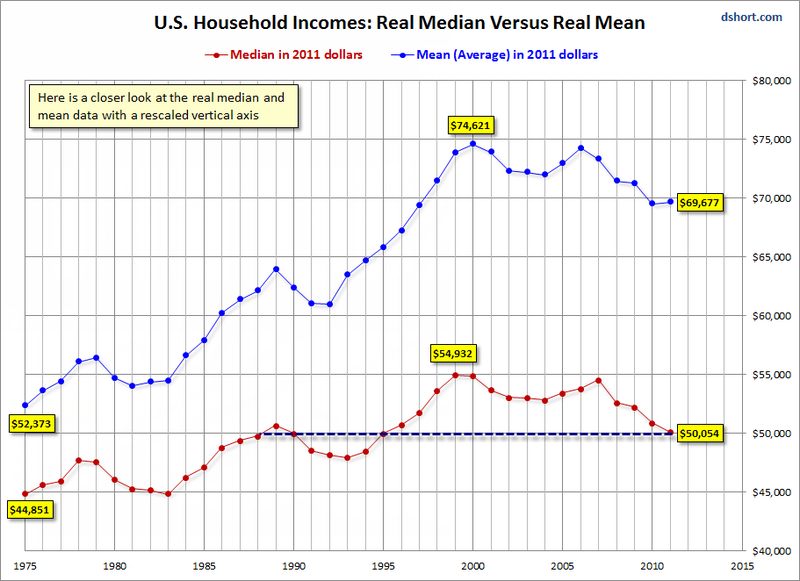 I suggest the wage and income recession is even longer if one looks a breakdown of median income. I commented on this previously in Top 1% Received 121% of Income Gains During the Recovery, Bottom 99% Lose .4%; How, Why, Solutions. Also consider my followup post Reader Asks Me to Prove “Inflation Benefits the Wealthy” (At the Expense of Everyone Else). The above chart shows percentage income growth by quintile since 1967. 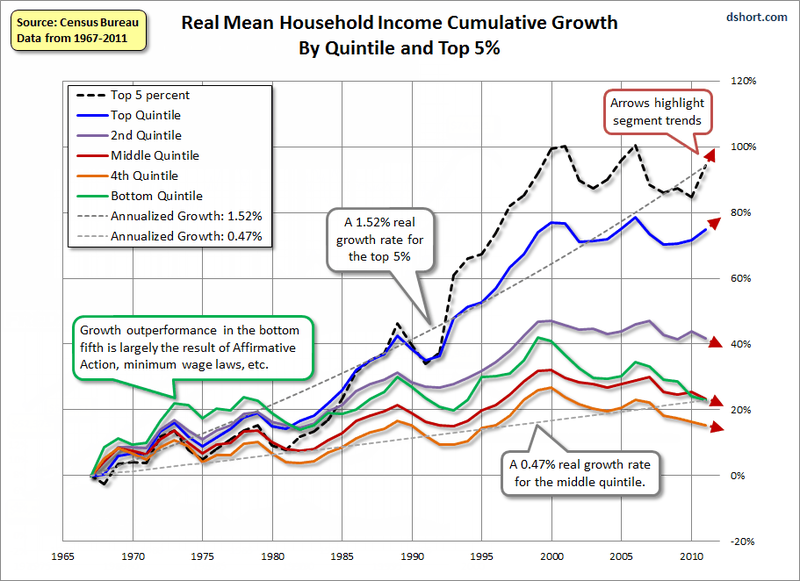 Since 1988, the bottom, 4th and middle quintiles (a combined 60% of households) have negative real income growth. The next chart shows the same thing in a different way. Those in the top quintile have arguably had an “income recession” for 13 years! Only those in the top 5% have had real gains. 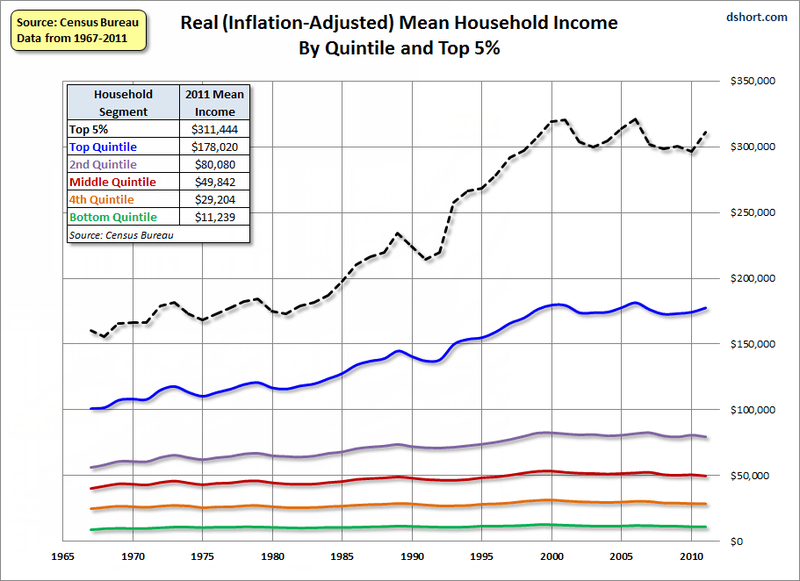 Those in the bottom three quintiles have not seen any improvement in real income since 1988 or longer (25 Years)! To be fair, some people have moved up from quintile to quintile (or up within a quintile). However, unless someone moved up to the top quintile (if not the top 5%), inflation adjusted income growth has been a real struggle for a long time.